Hey there and happy Monday!!! I hope you have had a good day. I'm just relaxing at home after a nice dinner. Today's post is one that I have had pictures of for a while. This was a polish I wore back at the beginning of April. This was before I broke my nail really bad and had to chop them all off. I was going out of town for work so this was what I chose to wear to last me through my trip. This is I Love Nail Polish (ILNP) Kings and Queens. 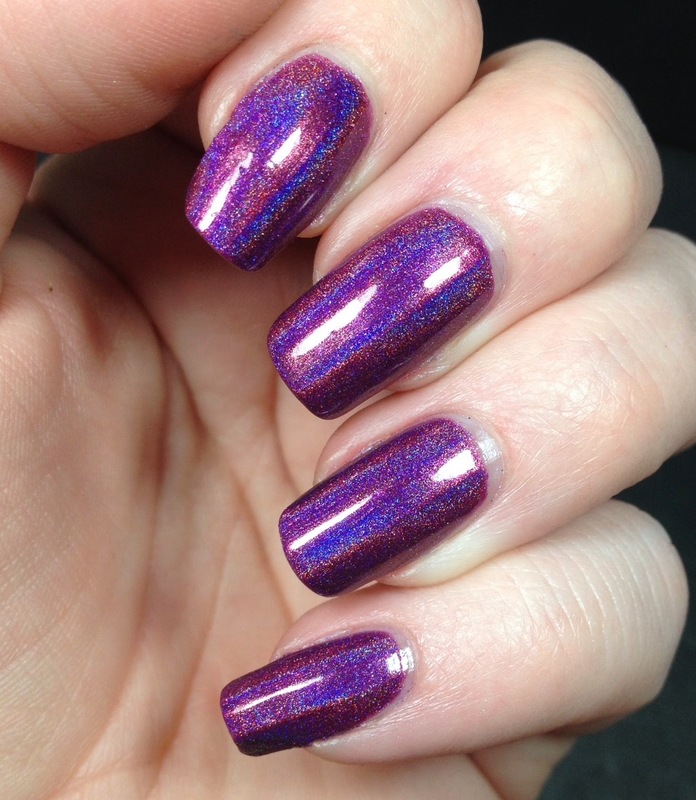 Kings and Queens is from the spring collection and is an Ultra Holo. 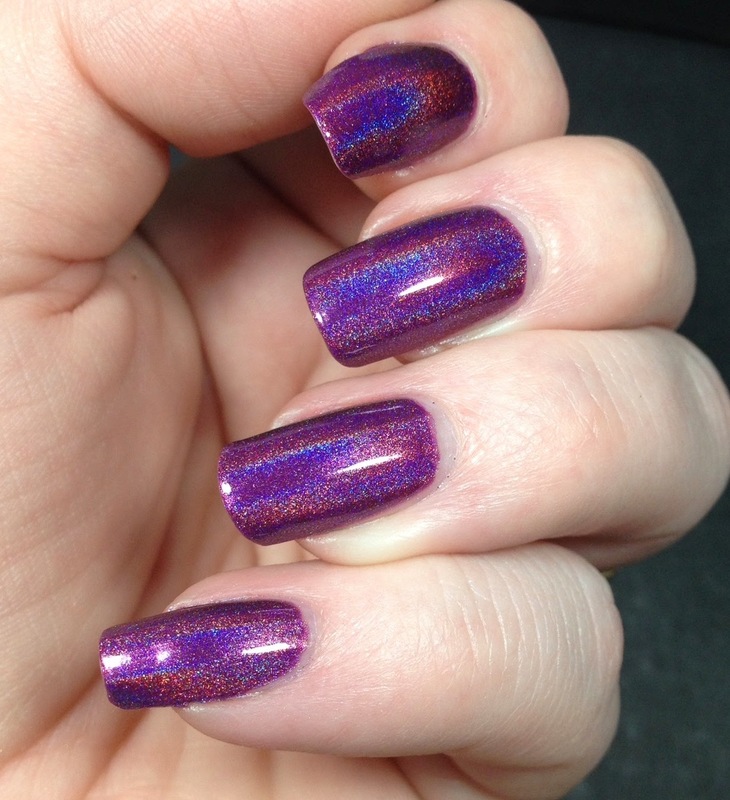 The ILNP site lists this as a burgundy holo. I don't know if it is quite so burgundy in real life. It's a purple leaning burgundy. How about that, does that make sense?? This, like every other polish I have from ILNP, applied like butter. They are all just so amazing. Two coats of perfection. Topped this with Glisten and Glow HK Girl topcoat. It wore for days with no issue, other than my break of course. I saw a picture on Instagram the other day where she is getting ready to release another collection...I for sure will be pre-ordering some and I haven't even seen them yet! This is gorgeous! I thought at first you were wearing two different holos together. I love how you can clearly see both colors. This is gorgeous! I love how intense the holographic is here too plus the color is to die for!